Like any 3-year-old, Paxton Ehrke hates to sit still. Hailing from Alma, Nebraska, Paxton’s favorite hobbies are playing with toys and watching movies. But as the son of two volleyball coaches, Marcus and Shelbea Ehrke, Paxton does more than just play with his beloved Incredible Hulk and PJ Mask toys. A fan of volleyball, basketball and soccer, Paxton loves to be active as well. “We just try to get him involved with any and every type of sport possible,” Marcus said. As an avenue for his fun-loving spirit, Marcus and Shelbea decided to sign Paxton up for the Cornhusker State Games based on the feedback of their niece and nephew, who competed in track and baseball during prior games. “Hearing that feedback from them, we thought, ‘oh, we better get Paxton involved when he’s old enough,’” Marcus said. The first registrant for the 2019 State Games, it took lightning fast speed to become the first person to sign up to compete. Paxton will hope to harness that speed in both the 50-meter dash and the long jump. With the opportunity to run around with his mom on a track and practice his long jump into a sand pit, the two events will hopefully come naturally for Paxton, even if he may need a reminder to stay inside the lanes. “He’s run around the track before so he knows what he’s doing, I guess,” Marcus said. With the attention span of a 3-year-old (literally), getting Paxton to practice for the individual events has been a minor challenge for Marcus and Shelbea. “If we can get at least 10-15 minutes of practice, then that’s good enough for us,” Marcus said. Marcus said he hopes the experience of practicing and competing in the Cornhusker State Games will help prepare Paxton to participate in other sports in the future. 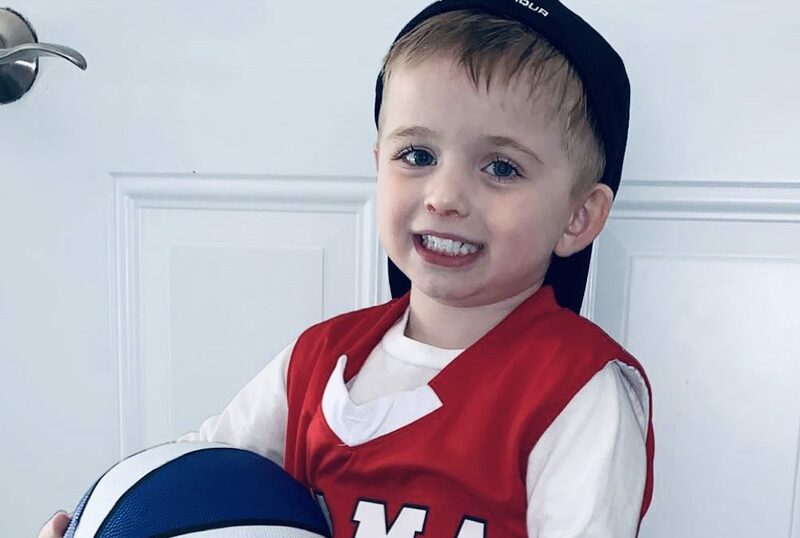 With soccer in the spring and tee-ball in the summer, he will have plenty of chances to run around and get ready for the Games in due course. “Because we’ve learned so many things from sports and what not, we just want to pass that down to him,” Marcus said. For Marcus and Shelbea Ehrke, they wanted to give Paxton as many opportunities as possible to have fun and gain new experiences, which brought them to the Cornhusker State Games. And even for a pair of volleyball coaches who are quick to point out their own competitiveness, the fun factor of having a 3-year-old compete in an organized sporting event can’t be ignored. “Just being a 3-year-old competition, I’m sure we’ll spend most of the time laughing and it’ll be a mess, but it’ll be fun,” Marcus said.